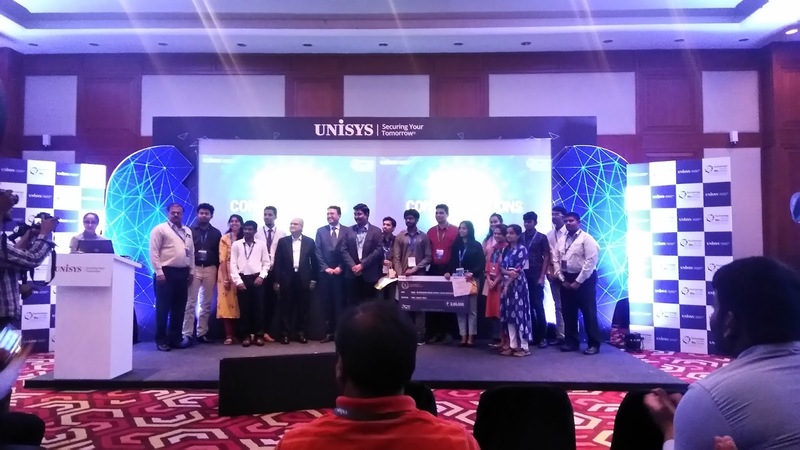 Unisys Corporation has announced the winners of the 10th annual Unisys Cloud 20/20 contest, one of India's largest and most popular annual student innovation programs. This year's contest featured more than 270 colleges and over 300 projects, as students were challenged to think outside the box and develop innovative ideas. The project titled Vesa – Blockchain Based Supply Chain Management by Sarang Parikh, Amith K K, Swathi R and Deeptha M of the Nitte Meenakshi Institute of Technology, Bengaluru, was picked as the winner. Eniyanilavan R, Hemachandiran S, Eathindhar M and Gautham A of Sri Manakula Vinayagar Engineering College, Puducherry College, earned second place for their project titled su PILVI. Third place was awarded to Amogh A Rao, Sana Parveen Salar, Suchithra Devadiga and Sharadhi Arun Patil of Mangalore Institute of Technology and Engineering, Mangalore, for their project, Smart Telematics System. The contest aims to bridge the gap between academia and the IT industry and encourage the participants to create innovative projects with practical application. Disruptive technology trends featured in this year's competition included cloud-based applications and microservices, cloud computing infrastructure, security and multimodal biometrics. 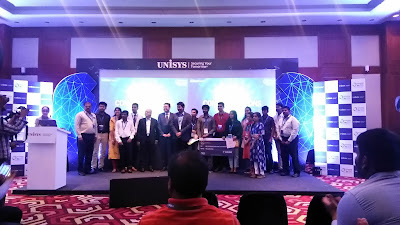 After entries opened in July 2018, Unisys shortlisted the top 113 teams and provided them each with a mentor for guidance in project development. Winning teams were awarded cash prizes up to 4.25 lakhs and a trophy. In addition, Unisys has offered more than 20 internships and eight job placements to the finalists and winners of this year's competition. "Technical contests help build creativity and thinking capacity in students, and I am extremely happy with the impact that Cloud 20/20 has gained over the last 10 years. We are proud that Unisys has played a key role in creating and supporting talent from across the country," said Vishal Gupta, senior vice president and chief technology officer, Unisys. "Cloud 20/20 serves as a platform to equip students with the requisite skills to drive innovation in an ever-competitive industry like the IT industry." 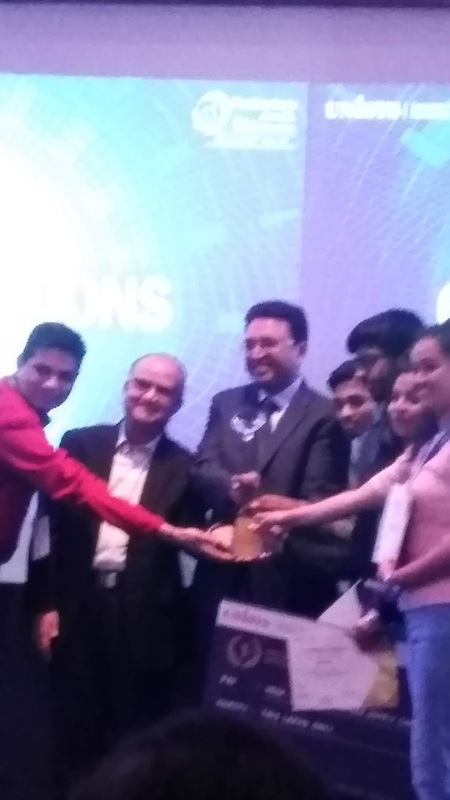 Sumed Marwaha, managing director, Unisys India and regional vice president, Services, Unisys added, "Unisys has been a torchbearer in technical and innovation led contests. In the last 10 years, Cloud 20/20 has been a platform for thousands of students across India to unveil their talents in some extraordinary projects and innovative ideas around disruptive technologies. This year our focus is on molding ideas to real life solutions. This recognizes that the Indian IT industry is constantly changing and requires these bright minds to create the technology of the future." Launched in 2009, Cloud 20/20 has traditionally been a collaboration between Unisys and academia. Over the last decade more than 25,000 teams have participated, making it one of India's most popular technical contests for engineering students. Under the Cloud 20/20 umbrella, Unisys has also conducted various programs created for different strata of the IT industry including annual hackathons for freshers, developers and programmers, Tech Series and Tech Connect for experienced professionals across the industry to meet and share ideas and construct a framework for future technologies. These programs also incorporate various trending themes such as virtual simulation, biometrics, artificial intelligence and machine learning.